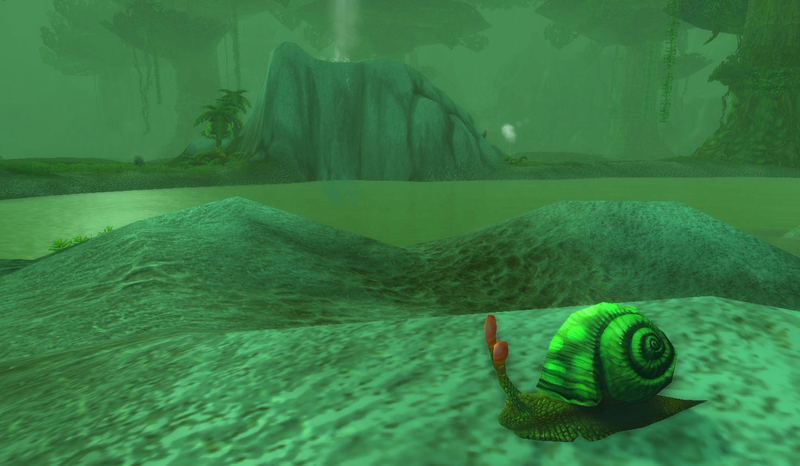 This guy and his snaily brethren are some of the better PVE tanks, depending on the rock, paper, scissors of it all. Or, rock, paper, scissors, slime as the case may be. So, what makes snails so appealing? They generally can’t die. Not only do they have a shell shield ability, they also have Dive and the damage with return heals ability Absorb. Scooter is only available in the H/H or 6 breed, which means that his health pool at level 25 with a rare upgrade is a whopping 1960, making him one of the very few pets available with over 1900 health. The only other snail available with the H/H breed is the Shimmershell Snail. The other breeds or other snails are also amazing tanks for sure… ‘get a snail’ is largely interchangeable in the pet community for ‘get a Rapana Whelk’ after all. But health that high even as a novelty is pretty sick in a tank. An additional strategy would be to combine his Acidic Goo ability, which has a 25% additional damage taken debuff, with his Dive. It’s also possibly a synergy buff to a glass cannon pet like a Fel Flame. This obviously sacrifices a good amount of the snail’s survivability, though. To round out his abilities there’s the 25% chance to stun beast ability Headbutt and Ooze Touch, a no-frills magic nuke. I personally am not as in lurve with him as some other tamers are. The Undead absorb move he uses to deal damage plus his Critter type makes him take forever to kill Critters and vulnerable to Beasts. That absorb move also deals minimal damage period, so fights with him take forever regardless. But there are certain fights where snails are integral, like my thrilling strategy for the Burning Spirit Tamer. As long as you’re not fighting beasts he’s a pretty good pick. Some tamers doodle their name with the snail’s the same way I doodle “Ms. Liopleurodon Crab.” I prefer a tank that can’t be felled by an ill-placed salt shaker in favor of one that goes well with butter, I guess. Different strokes! 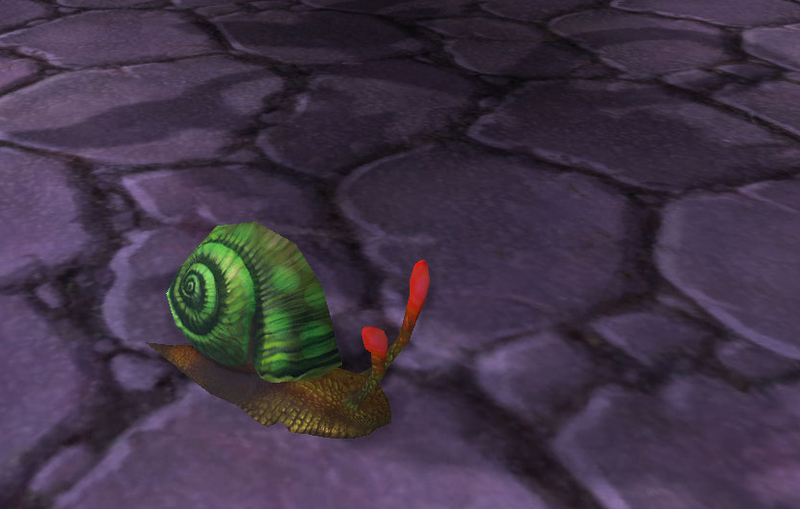 You get Scooter The Snail from the original Childrens’ Week quest, from either Orphan Matron Nightingale in the Cathedral District of Stormwind or Orphan Matron Battlewail in the Drag (lower level, beneath the inscription trainers) in Orgrimmar. He was added to the original complement of pets in 2011. This entry was posted in pet profile and tagged auctionable, childrens' week, critter, holiday, quested, snail, tank on May 1, 2013 by Liopleurodon. Most tamers have a battle pet or two they favor, whether for sentimental or cosmetic reasons or because they’re good at fighting. This particular pet has been my workhorse since I tamed him, and is definitely one of my favorites. Aw, just look at those ickle beady little eye stalks. The emperor crab is very similar to many other crabs. If you’re just starting out, the crab sold by Matty to goblin players has the same moves, though starts off at uncommon quality and will need to be upgraded with a battle stone. The strand crawler also has the same moves and is obtainable without battling at all via fishing, and starts rare. Both of those may be available in your Auction House. 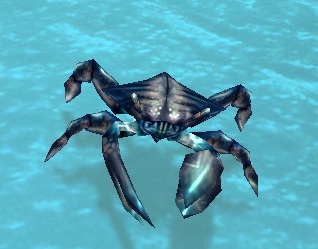 Shore Crabs are around Westfall at level 3-5 too, among other places, so those are a good pick for a novice. The reason my little buddy Ishmael is my go-to pet for nearly any situation is because he combines a very strong defensive ability, shell shield, with either a moderate self-only heal or my choice, a heal over time over 3 turns, which persists through pet swaps. For the third slot, he has either a beast or an aquatic damage ability, making him able to kill any elemental or critter silly enough to cross his path. He can survive almost anything PVE throws at him. I did have to ditch him for a couple of the later tamers though, since a couple of them of them use a lot of Flying abilities. He also tends to do poorly against pets with a lot of burst, but can really clean up in PVP these days. He’s my personal choice to counter those annoying Valk teams. If you want your own Ishmael, you can tame Emperor Crabs in the Briny Muck in the Dread Wastes, either by battling Emperor Crabs, or you can get one as a second to Rapana Whelks. Unfortunately, you cannot tame any of the ones plaguing Ka’roz. This entry was posted in pet profile and tagged aquatic, emperor crab, self-heal, shore crab, shore crawler, strand crawler, tank on February 28, 2013 by Liopleurodon.